Added the generation of a PDF for the AcctgTrans and related AcctgTransEntry. Allow the user to void a payment. Fixed Accounting invoice section the InvoiceSubBar Menu. Added the ability to receive payments in A/R batches. Fixed the Commission Invoice to show correct price and quantity. Added a screen under Accounts Payable -> Invoice, which will search for a purchase invoice within a given date range. Added JUnit test cases for the Accounts Receivable -> Batch Payments. Added JUnit test cases for the Accounting -> Void Payment and Cancel Invoice services. Added JUnit test case for the Accounts Payable services which create payment groups for given invoices. Created a new screen under the Accounting -> Report tab to show comparative income statements. Added the functionality for generating CSV and PDF from this same form. Added the ability to cancel a reconciliation. Created a new accounting screen to associate GL Accounts to “Cost Centers”. Added the ability to create sales tax entries on an invoice without an order. Added a Deposit/Withdraw facility for user to deposit/withdraw payments in the Bank Account. Added a deposit slip facility to the Bank Account/Fin Account so that user can make a logical group of Payments for bulk deposit/withdraw. Added the ability for the user to create a new payment and directly associate to the current Bank Account. Added the ability to add a facility to reconcile a Bank Account by creating a new GlReconciliation record and assign bank transaction to that reconciliation id. Fixed numerous issues in the reconciliation of Gl Account. Added a new field to the FinAccountTransaction entity – statusId, Created/Approved/Canceled. Added a new field to GlReconciliation entity – statusId, Created/Reconciled. In Accounts Payable -> Invoice -> Purchase Invoice – User can now issue a check payment for incoming invoices with a given bank account id. In Account Payable -> Invoice -> Commission Run – Added a search for outgoing invoices which require a commission payment and ability to easily create commission invoices from there. In Accounts Receivable -> Payment -> Batch Payment – Added a new feature by which user can create a group of payments that can be used for reconciliation. Added/Updated most Accounting reports – Inventory Valuation, Income Statements, Comparative Income Statement, Transaction Total, Gl Account Trail Balance, Monthly Trial Balance, Cost Center, etc. Added ability to export each to CSV and PDF. Added consolidated balance of its ROLLUP party for the aforementioned reports. Prepared JUnit test cases to verify GL Account Balance updated after execution of various accounting business process. Added support Hindi UiLables for Accounting and Party and Common component. Enhanced support for product costing algorithms: cost formula, manufacturing costs, standard and actual costs. Implemented ability to define and import content for production runs. Added a new fulfillment process by introducing Verify Pick and Weight Package Only screens. Pick User can now select options for preparing a group on the basis of shipping method, warehouse area and number of order items – the group of orders is created according to selected options. Added additional options on the picking screen to show detailed information for each order (shipping method, number of order items per order, etc). 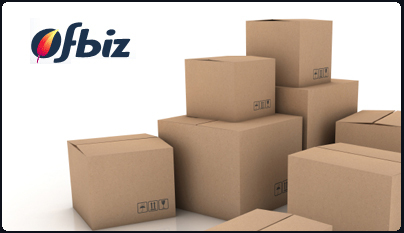 In the final chapter in our series (Part 4), I will discuss HotWax Media’s OFBiz development contributions in the area of integrations: shipping, multi channel sales and payment processors.